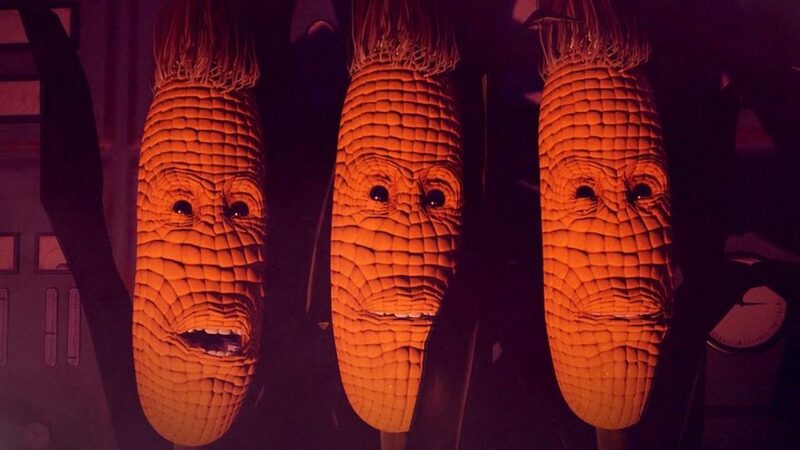 When I first saw the trailer for Maize I was confused. In fact, I was speechless. It was a strange combination between bombastic humor like that of Saint’s Row and bewildering creepiness as can be found in Albino Lullaby. I knew there was only one way to figure out what that cryptic video meant: by playing it. 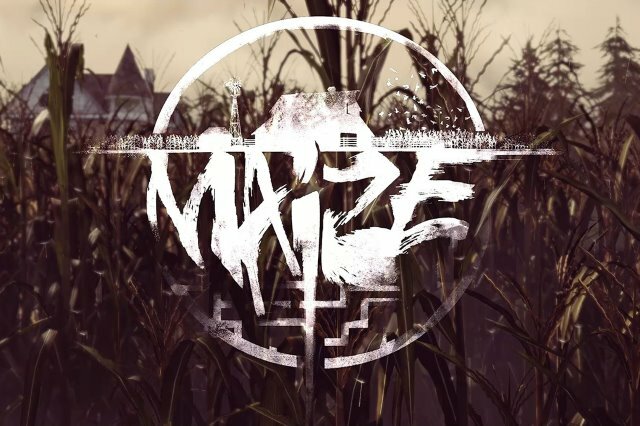 Maize is a puzzle adventure game chronicling one silent protagonist’s journey through a strange world of secret research facilities and sentient, talking corn. While this may seem like a ridiculous premise to start with, it gets much, much stranger. The main mechanic in Maize is inventory based puzzle solving. In general, an item is collected and then used to interact with the environment in a specific way. 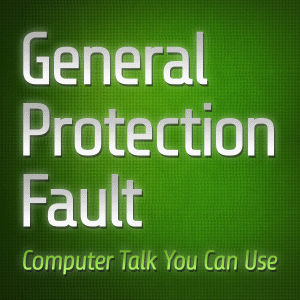 In every instance, items that can be picked up or interacted with are clearly highlighted in white. To make things even lass ambiguous, locations where objects should be placed are indicated with a blue ghost of the item in question. As a result it was easy to infer from the ghost outline what item was supposed to go where. While such straight forward puzzles might initially feel like a letdown, I believe they are perfectly suited to Maize. Those familiar with the puzzle adventure genre will recall, perhaps fondly or more likely with frustration, the kind of convoluted logic required to solve the classic puzzles of games gone by. At times the only real solution to a problem was to apply or click on every item, hoping something might happen. While some games earned the player’s commitment to such puzzles, Maize understands its place perfectly. It can’t entice players to persist in the anticipation of another thrilling plot development or a breathtaking vista. It’s a game about talking corn where rewards come in bite sized pieces of silly nonsense. 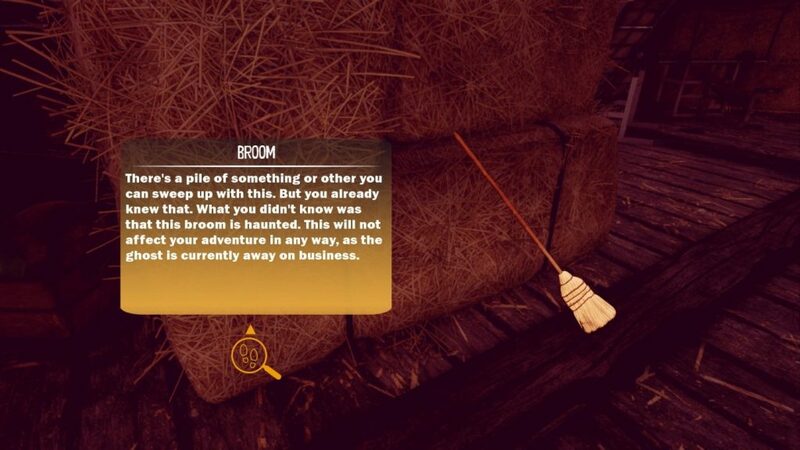 While The Stanley Parable accomplishes similar humor and self-awareness without needing puzzles, Maize is definitely enhanced by its chosen mechanic. Rather than using puzzles as an obstacle to progression, they serve as a vehicle for storytelling and humor. Some of the most hilarious and endearing moments of the game came from puzzles and their solutions. For each item picked up, the player has the option to read a “hint” or description of the object. While it may seem like cheating to view the hint for every single one, it became immediately obvious that someone had put quite a lot of time and love into them. Aside from providing useful information, the descriptions include the main character’s reaction to the item written in second person. Often they were charming explanations for how the protagonist misconstrues the usefulness of even the most commonplace objects. In other instances the player is treated to a piece of absurd, unsubstantiated inside information. Puzzle solving at its finest. In addition to item description, the puzzle solutions allude to the fantastic bad planning that went into the research facility. 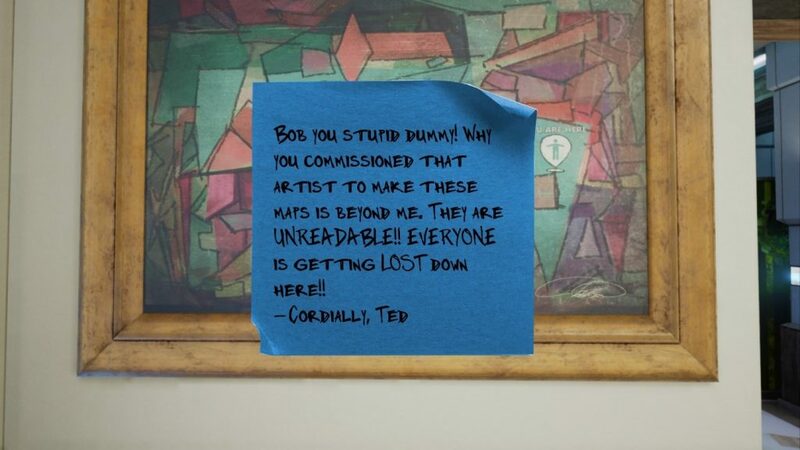 Distributed around the compound are sticky notes documenting the long standing squabble between its two Founders. While one conforms to the scientists’ archetype, the other can be described as nothing but an immature lunatic. Whenever there was an interesting set piece which might invite speculation, a string of sticky notes or research documentation would offer a comedic if not compelling explanation. An example of positive reinforcement. If you worry that experiencing much of the game’s narrative second hand might become boring, never fear, there’s a small companion to keep you from getting lonely. I am talking about none other than the sardonic, Russian, puzzle solving teddy bear robot: Vlad. Given the bear’s size and design I was expecting to intermittently trade perspectives with him, controlling Vlad to solve puzzles involving ducts or small gaps. 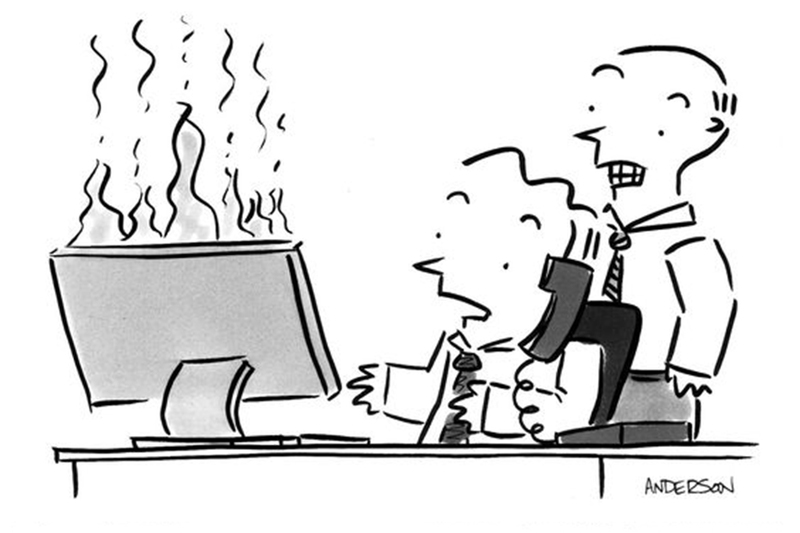 In reality, Vlad is completely autonomous. For the most of the game he simply tags along, offering frequent criticisms of the player’s intelligence. The tiny teddy bear reminded me of another sharp tongued robot: GLaDOS. Despite being evil, she was continuously amusing and endearing for her many varied and imaginative insults. It was actually fun wondering what she might say next. Vlad, on the other hand, is very economical with his insults. There’s only every one. IDIOT! While it’s fun to hear him say this a few times in his heavy Russian accent, by the end of the game it gets a little tiring. Bottom line: Is the game worth buying? Yes. Maize offers enough in crisp visuals and comedy to warrant its $20 price tag. Think of it as paying to watch two B movies at the theater. 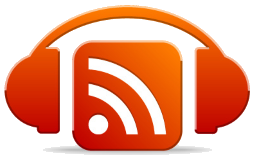 You’ll be entertained for four hours and have something to talk about afterward. While I won’t be storing this in my file of “Classics” it was a fun experience.